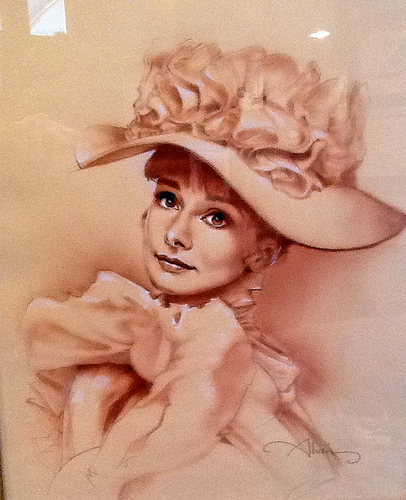 This is an original mixed media character study of Audrey Hepburn that is signed by the artist John Alvin. John decided to go back and do character studies of those who inspired from the world of movies, including this portrait of Audrey as Eliza Doolittle from My Fair Lady. 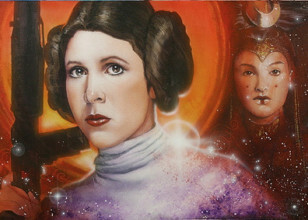 He captures her "faraway look, as if she has always lived in a garden."